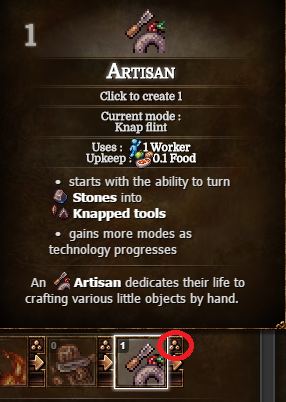 I have stone tools unlocked, but my artisans just continue to make knapped tools instead. Am I just missing some way to change what they make? You know that little "three ball" icon? Click that to change tool types.